I recently saw a comment online that said Jesus wouldn’t help people in need – that he would help people to help themselves. Just another example of the damage some so-called, self-described Christians do in the name of Jesus — a Jesus of their own invention. 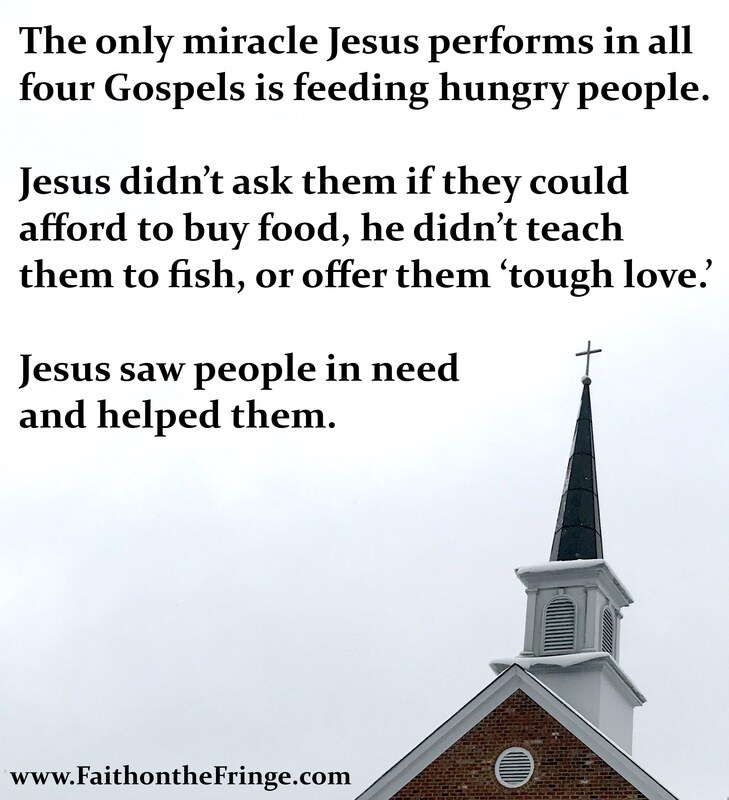 Jesus saw people in need and helped them. You’re projecting, if you think Jesus would turn his back on people in need. Regardless of how people responded, Jesus ALWAYS gives of himself when people ask. People rejected him, and still Jesus gave of himself. If I thought Jesus was as selfish as some people claim he is, I wouldn’t want to have anything to do with him. Thankfully, Jesus gives of himself, so that others might have life, and have it more abundantly. Jesus gives us the example of how to give. This entry was posted in Faith, Scripture, Uncategorized and tagged Jesus, Jesus miracles, John 6:5-15, Luke 9:10-17, Mark 6:31-44, Matthew 14:13-21. Bookmark the permalink. 1 Response to “Jesus wouldn’t help people in need?” What Jesus are you talking about? This idea goes back a long way. The motto of the town where I live has been “Juvat impigros Deus.” since the 16th century. The idea though is not Christian, but goes back to Sophocles around 400BC..
That God protects the widow, orphan, foreigner and the powerless is older than Greek philosophy and can be found in the mosaic law, and found later in the teachings of Jesus and the Apostles.Not only that, but we who follow Jesus should be defending these same people, the widow, the orphan, foreigners and the powerless.